Hawaii Search offers one of the easiest Hawaii real estate searches online of properties through out the Hawaiian Islands. You can search all homes for sale in Hawaii on Oahu, Maui, Big Island Hawaii, Kauai, Lanai and Molokai. You can view properties using our easy interactive map or the simple property list. Our search engine alllows you to save homes, condos and land for sale of all Hawaii MLS listings as favorites. 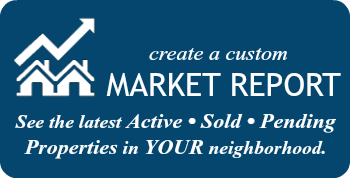 The system will send you new listings as they hit the market plus price reductions of houses & properties that match your saved searches. Hawaii is an internationally acclaimed tourist destination and an ideal retirement location for many Americans. In addition to overwhelmingly positive depictions in television series and movies, Hawaii has been the subject of numerous coffee table books and documentaries that highlight the attractiveness and promise of the Aloha State. Admitted to the Union in 1959, Hawaii is the fiftieth state and the only state to have previously been a sovereign monarchy. Hawaii is both ethnically and culturally diverse, manifesting the influence of cultures ranging from Portugal and Puerto Rico to the Philippines and Japan. Hawaii’s weather is undoubtedly among the best in the entire world – it is a challenge to find a day during which the temperature falls below sixty five degrees or wanders above ninety degrees Fahrenheit. Hawaii hosts more than a million visitors every year, largely from the continental United States and Asian countries such as Japan and China. The allure of Hawaii stems not only from its cultural heritage and environmental factors, but also from its historical significance and picturesque scenery. Historically speaking, Hawaii is unique in the world. The seven major islands of Hawaii were originally colonized by settlers from the Marquesas and Polynesian Islands several millennia ago, a heritage that is continually celebrated by institutions such as the Polynesian Cultural Center and the Bishop Museum. Hawaii is home to its own unique dialect, known as “pidgin” or Hawaiian Creole, which exemplifies the cross-cultural interactions that defined the territorial period of Hawaiian history during the late 19th and early 20th century. Many relics of the plantation era, including rustic smokestacks and living history museums, are dotted across the landscape of the islands. Hawaii was central to the First and Second World Wars, a heritage epitomized by the naval base at Pearl Harbor. A surprise attack on Pearl Harbor led to America’s entrance into the second world war. Hawaii is also an international destination for shoppers, with its commercial offerings highlighted by the largest outdoor shopping center in the world, Ala Moana Center. Pearlridge Center, and Windward Mall. The neighbor islands each have individual shopping centers, while the Waikele Premium Outlets are the best destination for bargain hunters. There are also a number of big box retailers, ranging from Lowe’s and Home Depot to Walmart, Costco, and Sam’s Club. Despite its unique location and heritage, residents of Hawaii are never left wanting for the comforts of larger cities. Most of Hawaii’s residents live in the city of Honolulu, which is found on the island of Oahu. Overall, the state has a population of approximately one million two hundred thousand, spread across six inhabited islands: Oahu, Hawaii Island (also known as the Big Island), Maui, Kauai, Molokai, and Lanai. There are a limited number of residents on an island called Ni’ihau, a Naval Station on Kaho’olawe, and a number of marine preserves on smaller islets. The economy of Hawaii is driven largely by tourism and military investment, both of which rely on the state’s position in the midst of the Pacific Ocean. The volcanic origins of Hawaii have led to a number of beautiful natural wonders, including the active volcano Kilauea and the snow-capped peak of Mauna Kea on the Big Island, and the beautiful Haunama Bay on Oahu. Hawaii is perhaps best known for Waikiki Beach on the south shore of the island of Oahu, but a number of other pristine and lesser known beaches are scattered throughout the archipelago. These range from black and green sand beaches to Kailua Beach Park on the Windward Side of Oahu. Hawaii also boasts unrivaled culinary variety, including Japanese, Native Hawaiian, Chinese, Korean, European, Filipino, Vietnamese, and fusion restaurants. Hawaii is noted for an outstanding public transit system, and is currently in the process of constructing a light rail transit system for the urban core of Honolulu.